At the de Saisset Museum’s Sept. 27 opening reception for its fall exhibits, guests might make a wish while viewing a watercolor of the “Dandelion,” part of “California Flora: Fanny McClatchy Richardson,” an exhibit showing native California wildflowers. In the exhibit, “She Sang Me a Good Luck Song: The California Indian Photographs of Dugan Aguilar,” are images of Native Americans from varied walks of life. The third exhibit that opened on Sept. 27 was “Radical Velocity: The Power of the Body to Move through Place.” This exhibit, with about 50 works, examines how people can use their bodies to influence change. “Radical Velocity” features the work of photographer Robert Schultze, who displayed three black and white images of people from his collection, “Portraits of the 99%.” According to Schultze, in 2011, he traveled to a number of cities and took about 10,000 images of Occupy Movement activists. From this set, he chose about 2,000-3,000 images for the collection. 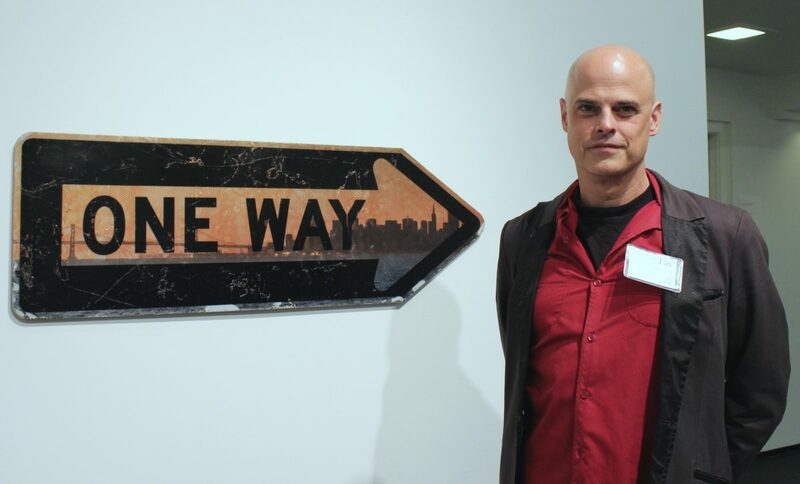 Also at “Radical Velocity” is photographer and artist Scott Fin’s photo transfers of “Sunrise SF Skyline and Bay Bridge” on a One Way sign, and “Sunrise Under Golden Gate” on a Stop sign — both works were created this year. The de Saisset Museum is on the Santa Clara University campus, adjacent to the Mission Church. Visit scu.edu/desaisset for details about the duration of the exhibits, museum hours and directions.